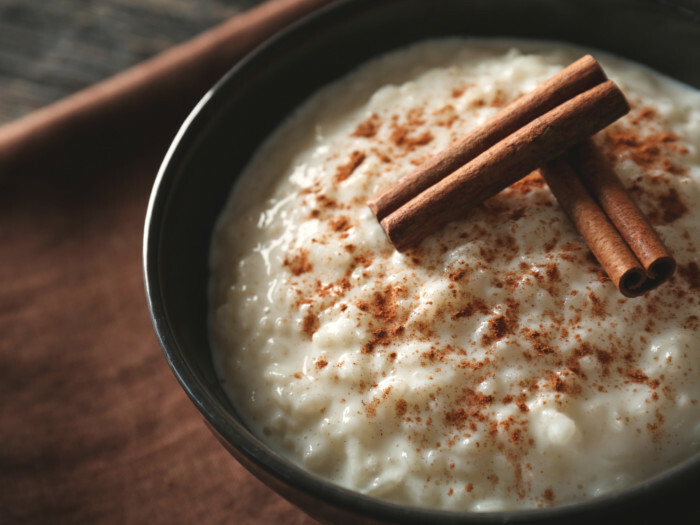 This classic vanilla rice pudding is very popular across different cuisines and cultures. The sweetness of the pudding is further enhanced with sweet spices like cinnamon and star anise. The pudding can be served hot or cold. Make your day with this sweet, creamy and delicious homemade dessert! Wash the rice under running water and soak it for 10 minutes. Drain the rice and add it to the boiling milk. Add the cinnamon stick and star anise pods. Let the rice cook in milk for about 30 mins till the mixture thickens. Add sugar and vanilla to the mixture. Cook it for another 10 mins. If serving cold, let the pudding come to room temperature before keeping it in the refrigerator for at least 3-4 hours before serving. Enjoy the delicious dessert.